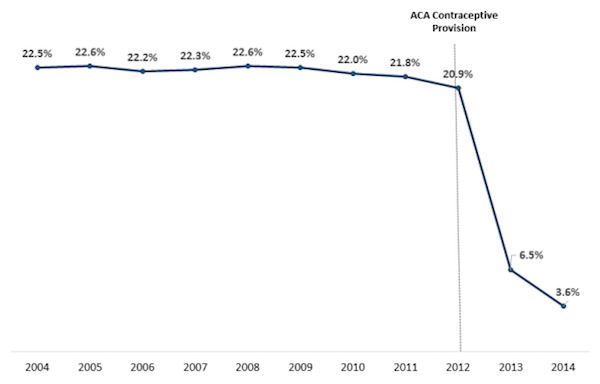 Notes: Share of women age 15-44 with health coverage from a large employer who have any out-of-pocket spending on oral contraceptive pills, 2004-2014. Data Source: Kaiser Family Foundation analysis of Truven Health Analytics MarketScan Commercial Claims and Encounters Database, 2004-2014. This entry was posted in Data Watch on January 18, 2017 by Genevra Pittman.